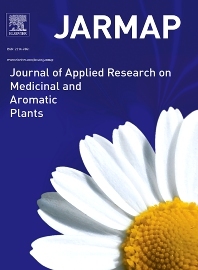 JARMAP is a peer reviewed and multidisciplinary communication platform, covering all aspects of the raw material supply chain of medicinal and aromatic plants. JARMAP aims to improve production of tailor made commodities by addressing the various requirements of manufacturers of herbal medicines, herbal teas, seasoning herbs, food and feed supplements and cosmetics. JARMAP covers research on genetic resources, breeding, molecular biology, wild-collection, conservation, domestication, propagation, cultivation, physiology, phytopathology and plant protection, mechanization, postharvest processing, drying, storage, extraction, quality assurance, analytics and economics. JARMAP publishes reviews, original research articles and short communications related to research.